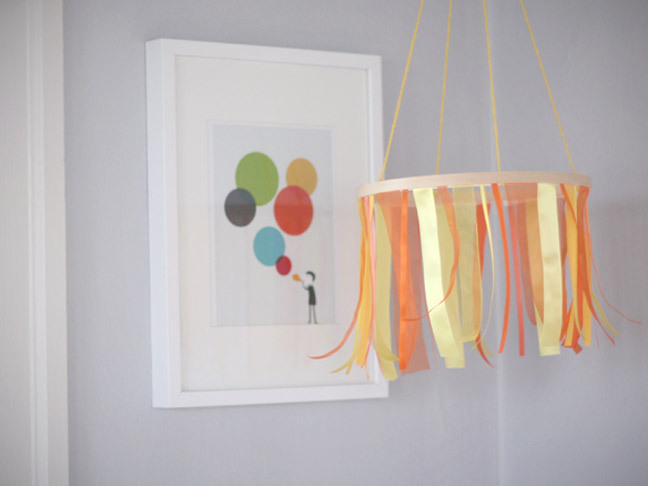 Babies love colors and movement, and we love attractive nursery décor so it’s a win win here. 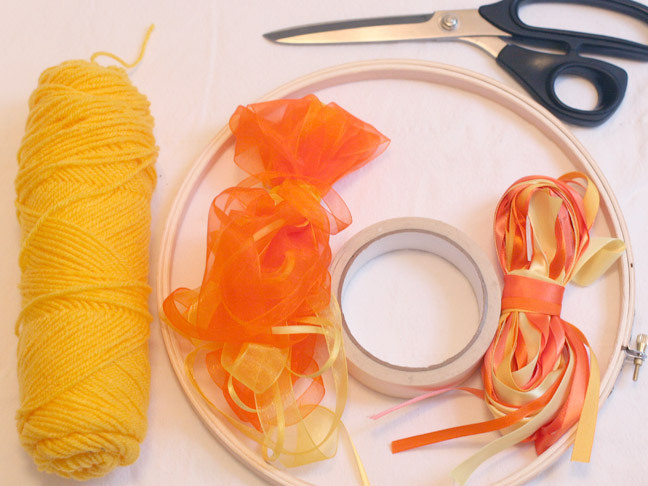 This tutorial is for a pretty ribbon mobile for babies to watch spin and twirl while they coo in their cribs. 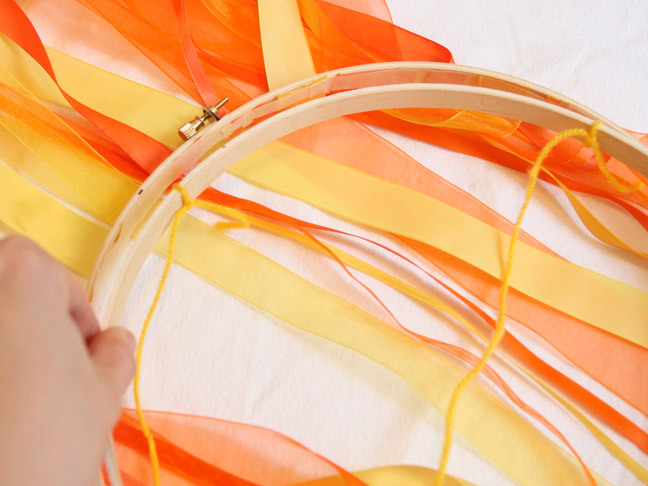 It’s very easy to make and requires no sewing or even gluing! 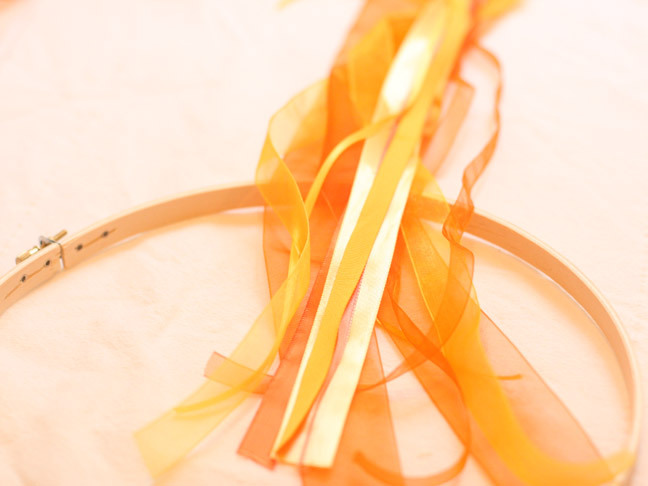 You can use any kind of ribbon you like, although I’d recommend varying colors, textures and width for added interest. 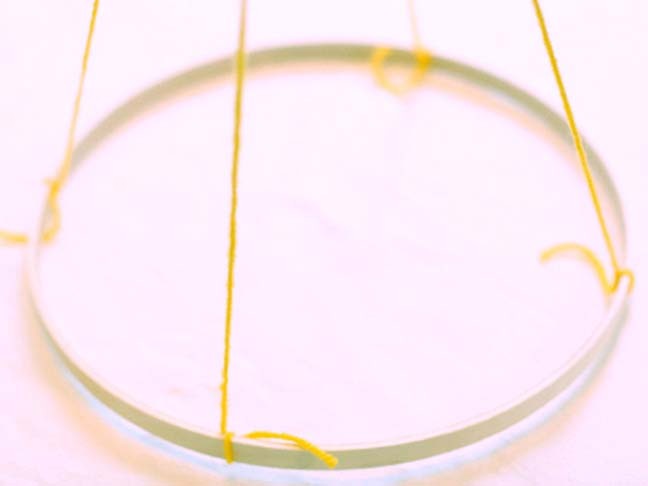 The embroidery loop has an outside loop and an inside. We’ll use the inside to hang the mobile and the outside to attach the ribbon. Undo the clasp and remove the inside loop. 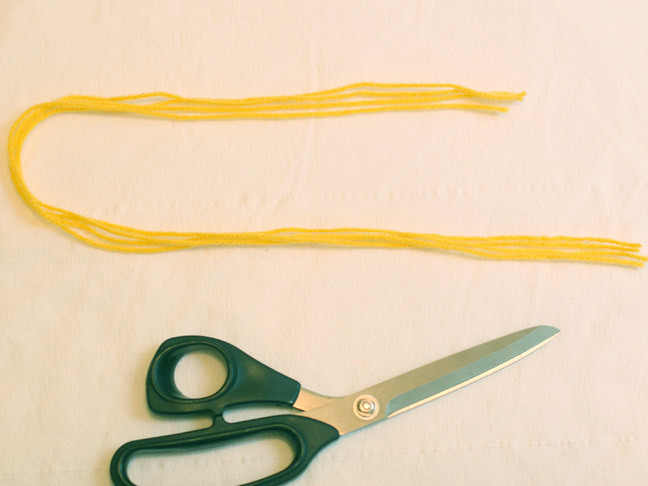 Cut four pieces of yarn about 20 inches long. 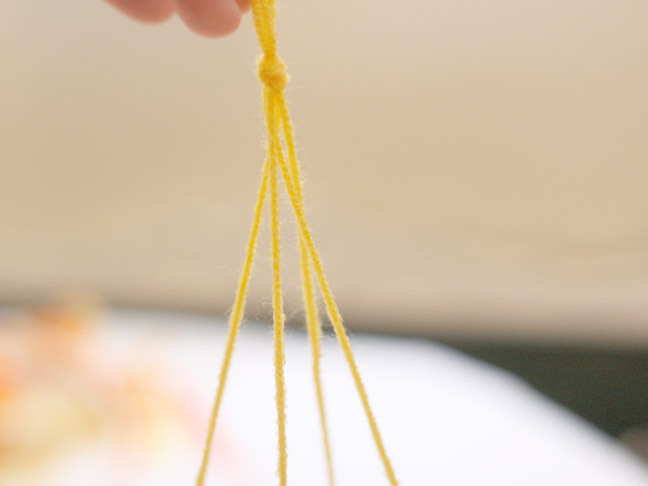 Tie a piece of yarn around the loop and knot it. 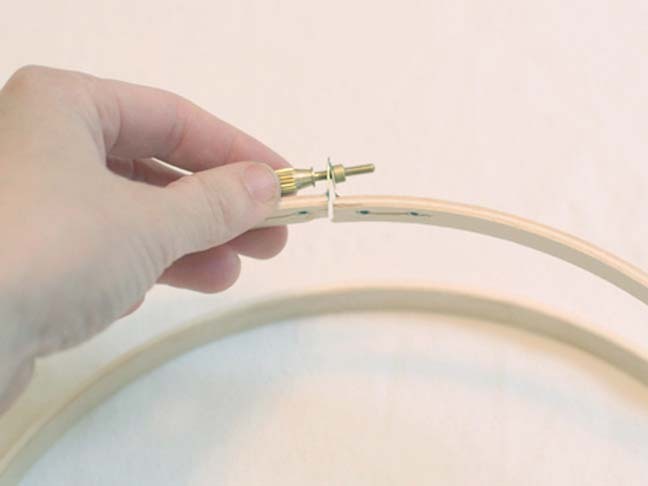 Move the knot to the outside of the loop (where it will be hidden when re-attached) and snip off any excess. Do the same for three more sides. Adjust them as best you can to be as equally distant from each other. Tie all four ends of yarn together in a knot at the top. 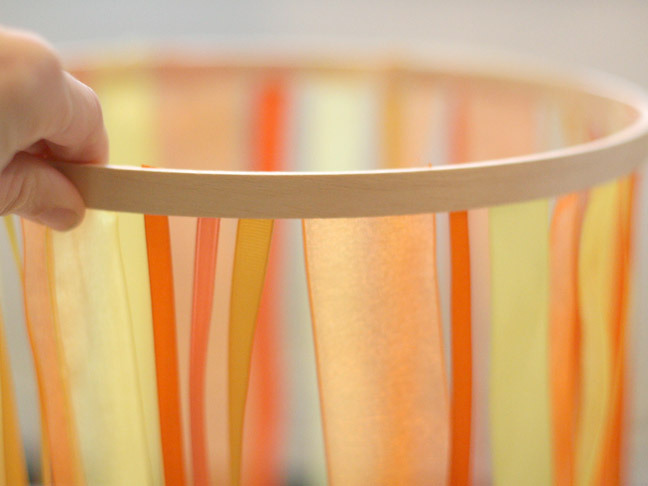 Cut your ribbon between 15 and 30 inches long, depending on how long you want the ribbon to hang for your mobile. Start taping the ribbons to the inside of the outer loop. Remember, the inside of this outer loop will be hidden by the inner circle. 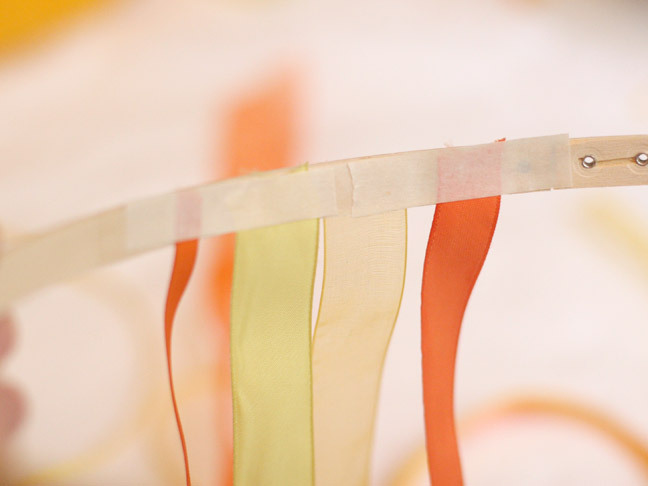 Continue adding ribbon all the way around the inside of the outer loop. 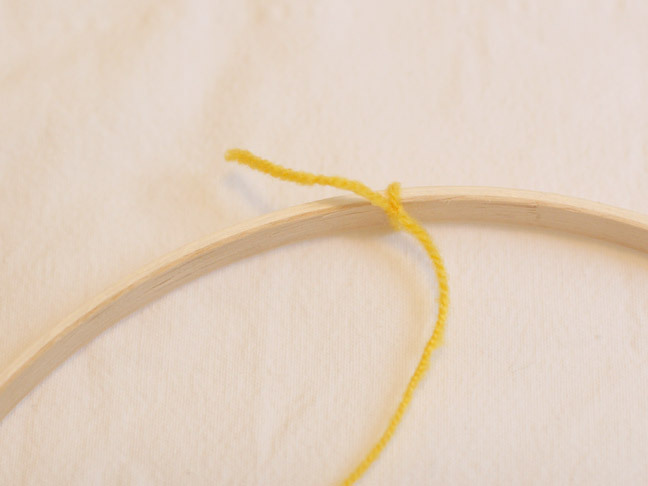 Now snap the inner loop with the yarn back into place inside the outer loop. Adjust the little knob to tighten it. 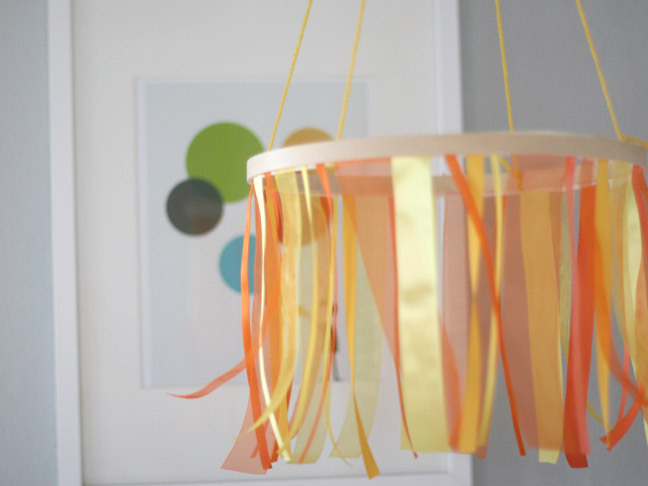 Attach the yarn to the ceiling with a hook or add fishing wire to adjust the length and now you’ve got a colorful mobile for baby to gaze at!